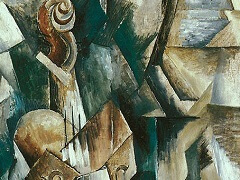 There is a palpable sense of a new, manmade force acting on Braque and his objects - the onset of the second World War. His tables serve up overt religious symbols including blackened fish and a chalice. His incandescent yellows and oily blacks evoke the sickly illumination behind a blackout curtain. 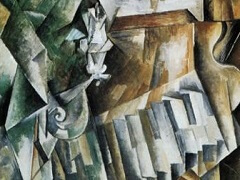 Skulls appear, looking much like the palettes that lay near them. 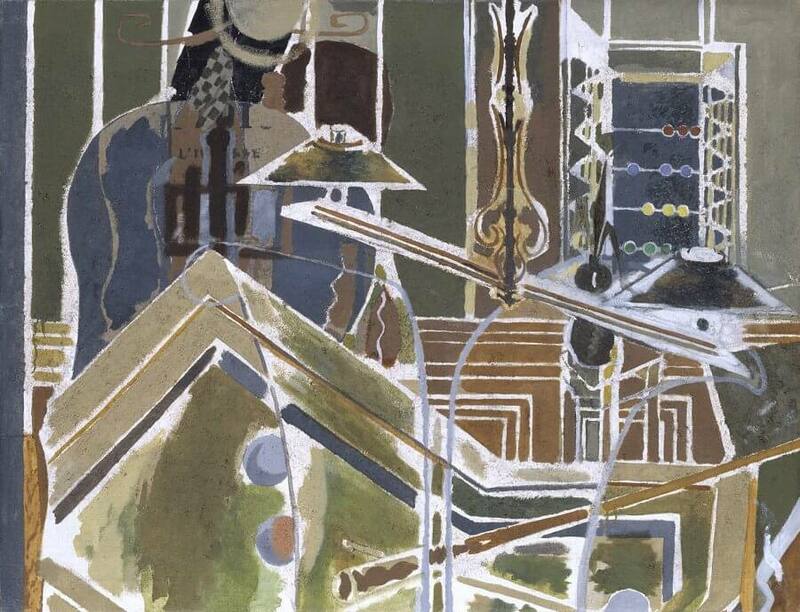 In the Studio with a Black Vase (1938), a skull sits turned away; its sutures rendered realistically. Their zig zagging forms mimick the colorful yet increasingly fractured space of the painting even as they mock its lively luminosity. 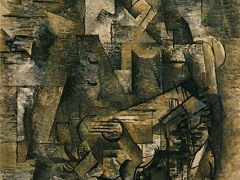 Despite these visual clues, Braque's work was criticized due to its seeming lack of politics. 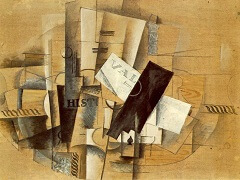 Overt political engagement was seen as a highly desirable component of avant-garde art. 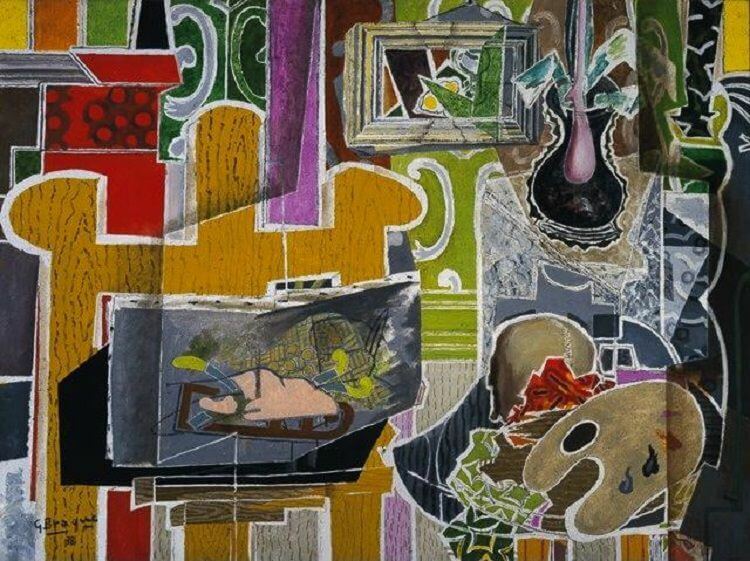 Contemporary works such as Guernica, (1937) of Pablo Picasso and The Reaper (1937) of Joan Miro were obvious protest paintings. 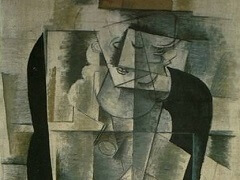 In both cases the artists adopted specific political events as subjects. 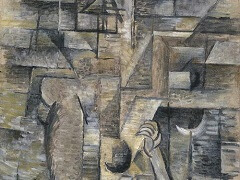 In contrast, Braque's subject matter remained unchanged; he continued to paint studio still lives. His inclusion of traditional vanitas elements hinted at but did not rage against the grave events at hand. 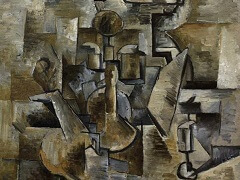 Such subtlety was seen by many as an indication that Braque was out of touch with both society and the direction of modern art. Even those who praised his work cited its "offensive calmness."